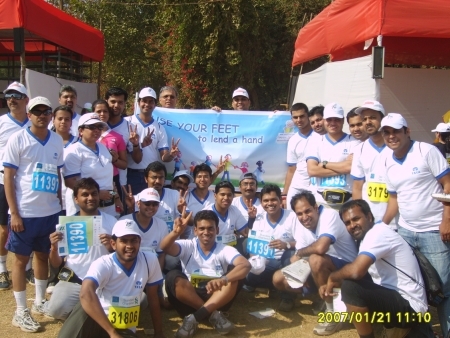 We participated in the Mumbai Marathon 2007, once again running for the cause of Learning Disability. Please click here to see some pictures from this event. Nice to see TIS running in the Marathon again this year, although the participant seem to be much less as compare to 2006 but its always great feeling to run for a cause. The t-shirt was much better than what it was last year, bright in color and much serene but I didn’t see any one running the full marathon this year (that’s what appears after going through all the snaps). Last year it was me along with Mr. Tadashi and his wife running the full marathon.